The 4th of July holiday always makes me think of family. No helmets, and that infant seat !!! It’s amazing we all grew up it tact!! No kidding! 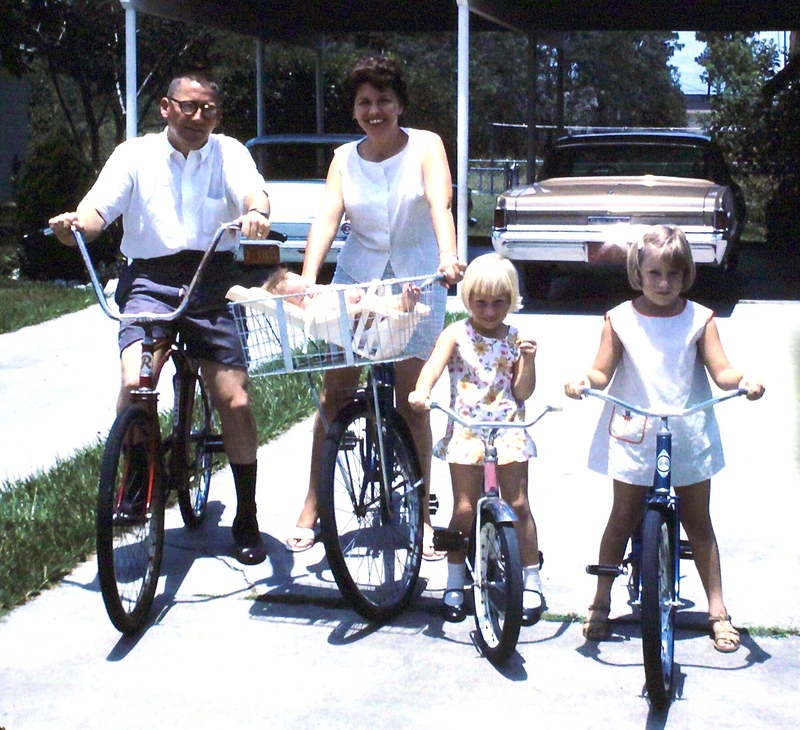 I remember once when my aunt was visiting and she fell on Mom’s bike with my baby sister in the basket!